Robert Allen Iger (b. 1951) was born in New York City and raised on Long Island. He studied television and radio at Ithaca College (with the dream of becoming a news anchor) and there had his first media job on the college television station. After several months working as a casual weatherman, and struggling to find a reporting job, Iger joined ABC as a “studio supervisor” helping out on the set of soap operas and game shows. A few years later he joined the production team at ABC Sports, a position he held for nearly a decade. From there, he became a VP of ABC Sports, and a few years later a VP of ABC. In 1992, he became the company’s president, having incredibly worked his way up from an entry-level position, with just a bachelor’s degree in hand. Iger went on to launch some of ABC’s most popular television shows, including Home Improvement, America’s Funniest Home Videos, and Who Wants To Be a Millionaire?Meanwhile, because of his tremendous success and famous foresight, he was one of only a few executives to survive the buyout of ABC, first by Capital Cities Broadcasting, and then again by The Walt Disney Company. In 1999, Iger was made president of Walt Disney International. 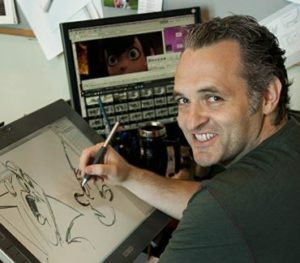 By 2005, he took over as CEO as well, and was put in charge of Disney’s day-to-day operations, vowing to fix the struggling company. Soon, Iger engineered Disney’s takeover of Pixar, and then its acquisition of Marvel Entertainment. To the latter he gave the necessary boost to bring out the “Marvel Cinematic Universe”, now the highest-grossing film franchise of all time. Iger had a vision to do something similar with Star Wars, and in 2012 acquired Lucasfilm. Star Wars has since become the second highest-grossing film franchise of all time. Iger has expanded Disney in other ways, too, including a new $5.5 billion Disney Resort in Shanghai. 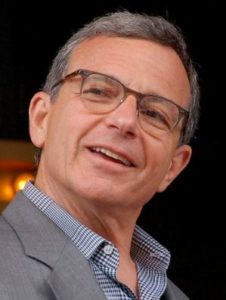 All in all, he increased Disney’s value from $48 billion to some $170 billion, and hired over 18,000 people during his tenure, earning the company multiple accolades including “America’s Most Admired Company” (Fortune Magazine), the “World’s Most Reputable Company” (Forbes), and the “Best Place to Launch a Career” (BusinessWeek). Iger, meanwhile, has been called the “Best CEO”, won multiple “CEO of the Year” awards, as well as a “Corporate Humanitarian Award” and “Equal Opportunity Award”. He is ranked among the 25 most powerful people in business. Iger is also a generous philanthropist, and has been given the Ambassador for Humanity Award for his efforts. What is a Jewish Name and is it Necessary to Have One? This entry was posted in Arts & Entertainment, Business & Finance and tagged ABC, ABC Sports, America's Funniest Home Videos, CEO, CEO of the Year, Disney, Ithaca College, Lucasfilm, Marvel Cinematic Universe, New York City, Philanthropists, Pixar, Star Wars, The Walt Disney Company, Who Wants To Be a Millionaire? on July 5, 2018 by Jew of the Week.